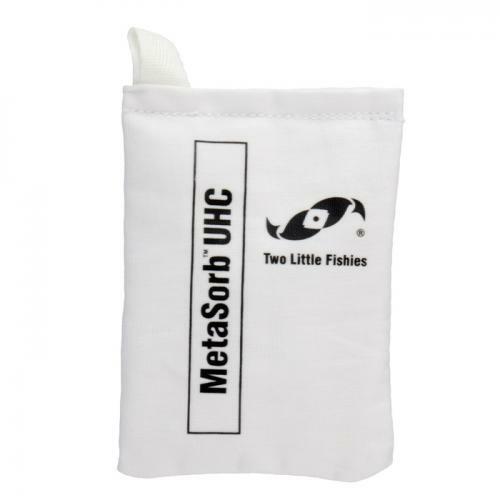 Brief Description: Two Little Fishies MetaSorb UHC helps to restore normal water quality by permanently removing toxic heavy metals from freshwater, marine and reef aquariums. The 1 to 250 gallon bag removes 80 ppm of metals from 250 gallon aquariums. These unwanted metals enter their atmosphere through foods, artificial seawater mixes, therapeutic treatments, corroding metal equipment, magnets, pumps and more. Mysterious ailments in fishes, corals and other invertebrates may occur when heavy metals reach a toxic threshold. Notify me when "Two Little Fishies MetaSorb 1-250g" is re-stocked. 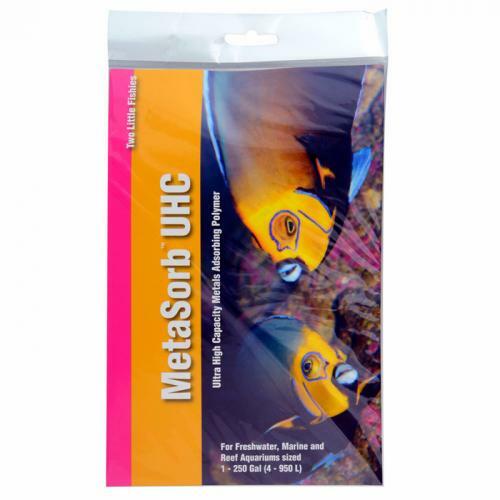 MetaSorb UHC is a polymer powder contained in a small cloth media bag. This cloth media bag should be placed in an area where high water flow volumes will come in direct contact; thus, they should be placed in any canister filter, hang-on-the-back power filter or in flow-through sections of any sump or filter chamber for a few days. 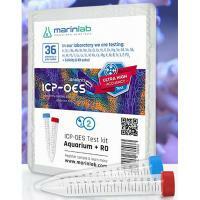 This filter media bag can be hang-dried and used several times more when needed. Take the extra step to assure your aqua life is healthy and safe from a toxic environment to assure a successful and long-lasting aquarium. Proudly made in the USA!